This is intended for patients 18 years and older. Primary care and mental health providers can rapidly screen to detect patients who warrant further evaluation for adult ADHD. The ASRS can determine initial symptom severity and monitor symptom changes/treatment effect over time. The Adult ADHD Self-Report Scale (ASRS) Screener v1.1 is used in primary care and mental health settings to screen for adult ADHD (Attention Deficit Hyperactivity Disorder). The ASRS has been validated in the general population. It is an abbreviated 6-item version of the full ASRS, which evaluates for the DSM criteria for adult ADHD. Positive scores for these 6 items were found to be most predictive of a clinical diagnosis of ADHD (the current gold standard for diagnosis). Items in the scale are frequently seen in other psychiatric disorders, and can even be normal variants in the general population. This scale is best used as a preliminary step in a more comprehensive clinical evaluation that includes assessment of the patient’s level of impairment in various domains of functioning. Adult ADHD is thought to be relatively common (4.4% prevalence in one study) and underdiagnosed. The ASRS provides an overview of symptoms that can guide further assessment. Select the response that best describes how the patient has felt and conducted his/herself over the past 6 months. The screener is meant to detect cases that warrant further clinical assessment, and cannot be used alone for diagnosis. Presence of ≥4 points indicates symptoms highly consistent with adult ADHD; these cases warrant further clinical assessment. Clinical interview may be guided by questions in the screener and the remaining DSM criteria. Assess the level of impairment associated with each symptom (including at work, school and in social situations) and evaluate for presence of symptoms in childhood. Symptoms of inattention and hyperactivity are relatively nonspecific and are encountered in many psychiatric and some medical disorders. Comprehensive clinical evaluation should include consideration of mood, anxiety, learning or substance use disorders as underlying cause or comorbid condition. Workup for underlying organic disorders, if there is clinical suspicion, should be considered. Addition of the selected points. Point totals ≥ 4 indicate consistency with adult ADHD. As symptoms of attention deficit are increasingly common in society, the ASRS helps to try to differentiate normal trends from pathological disease. Version 1.1 is a shorter screening test than the original test. The ASRS was initially developed as a screening tool for the World Health Organization (WHO) World Mental Health (WMH) Initiative Survey. It is now used both for research and clinical purposes. The ASRS Screener has been shown to have adequate sensitivity (68.7%), excellent specificity (99.5%) and good κ (0.76) using the cutoff of ≥ 4 out of 6 positive criteria. It is important to note that the validity of this scale is assessed by comparing it to the current gold standard which is the clinical interview. However, the clinical interview has not been formally validated. Kessler RC, Adler L, Ames M, Demler O, Faraone S, Hiripi E, Howes MJ, Jin R, Secnik K, Spencer T, Ustun TB, Walters EE. The World Health Organization Adult ADHD Self-Report Scale (ASRS): a short screening scale for use in the general population. Psychol Med. 2005 Feb;35(2):245-56. PubMed PMID: 15841682. Adler LA, Spencer T, Faraone SV, Kessler RC, Howes MJ, Biederman J, Secnik K. Validity of pilot Adult ADHD Self- Report Scale (ASRS) to Rate Adult ADHD symptoms. Ann Clin Psychiatry. 2006 Jul-Sep;18(3):145-8. PubMed PMID: 16923651. Kessler RC, Adler LA, Gruber MJ, Sarawate CA, Spencer T, Van Brunt DL. Validity of the World Health Organization Adult ADHD Self-Report Scale (ASRS) Screener in a representative sample of health plan members. Int J Methods Psychiatr Res. 2007;16(2):52-65. 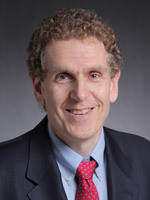 Lenard Adler, MD, is a professor of psychiatry at the NYU School of Medicine. Dr. Adler heads The Department of Psychiatry Adult ADHD Program, which since 1995 has produced numerous diagnostic, neuropsychological and treatment studies, including stimulant, non-stimulant and novel agents of adult ADHD. Dr. Adler is co-creator of several other ADHD diagnostic and symptom assessment instruments.